SEATTLE — The Port of Seattle has overtaken Los Angeles, Long Beach, San Francisco and San Diego to become the West Coast’s leading cruise-ship terminal, thanks to the growing popularity of cruises to Alaska. In fact, Alaska now ranks as North America’s second-largest cruise market after the Caribbean, and Seattle is reaping the benefits as cruise passengers flock to discover the natural beauty of the 49th state for themselves. 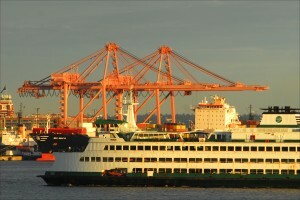 This season (May-September), Seattle expects to handle 178 cruise ship visits carrying a projected 805,000 passengers. Port officials recently met with a visiting delegation of foreign ambassadors representing 29 countries from Andorra to Zambia. 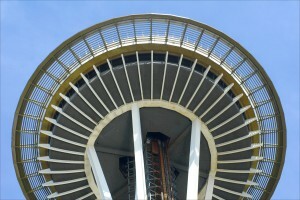 The tourism promotion conference, held at Seattle’s iconic Space Needle, was part of a four-day “Experience America” program organized by the State Department and co-sponsored by several Fortune 500 companies with operations in Washington state including Microsoft, Boeing and Amazon.com. 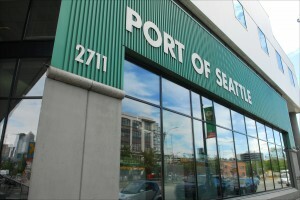 “My job is to help get cruise lines to Seattle, and make sure they’re happy while they’re here,” said Marie Fritz, director of cruise services and business development at the Port of Seattle. In 2013, the port handled 870,994 passengers arriving on 187 vessels — up from 1999, when only 6,615 passengers arrived on six cruise ships. Still, the port has seen better numbers in the past; in 2010, it received a record 223 vessels, and in 2012, a record 934,900 passengers, according to port statistics. Even so, there’s plenty of room to grow. Alaska still accounts for only 4.5 percent of the world cruise market of 21.7 million passengers, compared to the much busier Caribbean, which has a 37.3 percent market share, and the Mediterranean (18.9 percent). If not for Alaska’s popularity as a destination, the Port of Seattle would be focused only on cargo — not passengers. “Each time a homeport ship docks here, it contributes $2.2 million to the local economy,” Fritz told the diplomats, estimating that 75 percent of all cruise passengers fly into Sea-Tac International Airport, located halfway between Seattle and Tacoma. Port officials say the cruise industry generates $381 million in annual business revenues for Seattle, as well as 4,000 jobs and $16.8 million in state and local taxes. In the 10 hours an average cruise ship remains in port (generally from 6 a.m. to 4 p.m.), it not only embarks and disembarks passengers but also takes on 25,000 pounds of beef, 25,000 pounds of fresh vegetables, 10,000 bottles of beer and 2,100 pound of lobster, among other provisions. 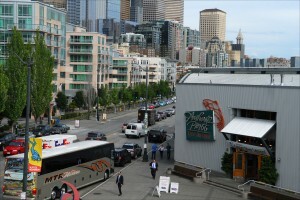 Seven companies use Seattle as a homeport for their Alaska itineraries: Carnival Cruise Lines; Celebrity Cruises; Holland America Line; Norwegian Cruise Line; Oceania Cruises; Princess Cruises and Royal Caribbean. Typically, those cruises last for seven days, calling on Juneau, Skagway, Glacier Bay and Ketchikan — and are advertised as cheaply as $299 per person for a last-minute week-long cruise from Seattle. Both Holland America and Oceania — which launched its boutique cruise service from Seattle last year — offer 14-day trips to Alaska. At present, about 25 percent of the passengers cruising to Alaska with Holland America come from outside the United States and Canada. That’s up from 10 to 15 percent only four years ago, said Bill Sharp, the company’s director of port and shore operations. “Alaska is a popular destination for Australian visitors. They travel a lot with groups, and we see a lot of them here,” said Sharp, who’s been with Holland America for 18 years. He added that Asia — particularly China — is another developing market. Cruises originating in Seattle must call on a Canadian port such as Vancouver or Prince Rupert, B.C., either on their way to Alaska or on their way back. This is because all such cruise ships are foreign-flagged and must therefore comply with the Jones Act. Smith Cove Cruise Terminal (Terminal 91), built at a cost of $120 million, can handle provide shore power for two ships at once, eliminating the need to run engines while at berth. Part of that cost was moving cruise operations from Terminal 30, which now handles containerized cargo. In addition, Bell Street Pier (Terminal 66) has one berth. 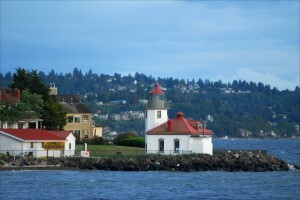 Both offer panoramic views of the Seattle skyline, Mt. Rainier and the Olympic Mountains in the distance. Two-thirds of cruise passengers polled arrived a few days early — or planned to stay a few days after their cruise — in Seattle, according to an August 2013 survey commissioned by port officials. 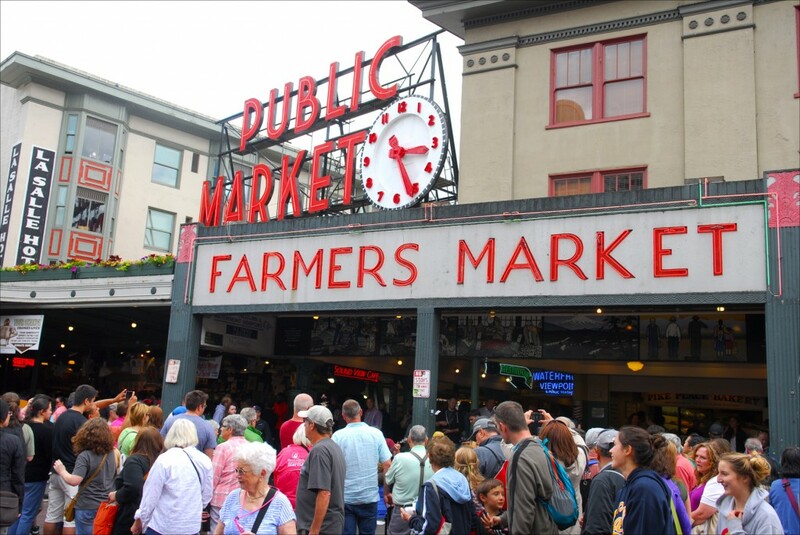 Most (81 percent) were staying in a Seattle-area hotel; respondents spent an average of $242 while in Seattle. The average number in a family group was six; of the total, 74 percent had cruised before, and 59 percent had cruised three to five times before. Most of the respondents (84 percent) rated their experience at the cruise terminal as very good or excellent, while 58 percent said they’d return to Seattle on a future vacation.